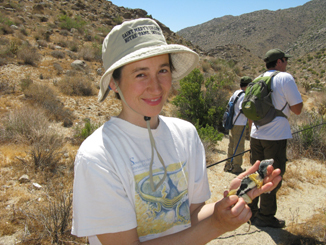 Emily with a Crotaphytus insularis on a field trip to Anza-Borrego Desert State Park in southern California. 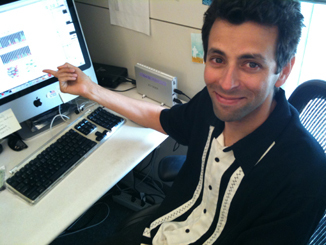 John works on evolutionary genetics and genomics and studies the molecular mechanisms that create and define different species. 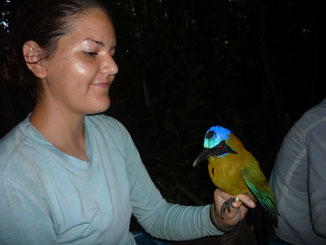 Lisa is interested in understanding patterns of population divergence and gene flow across multiple species. 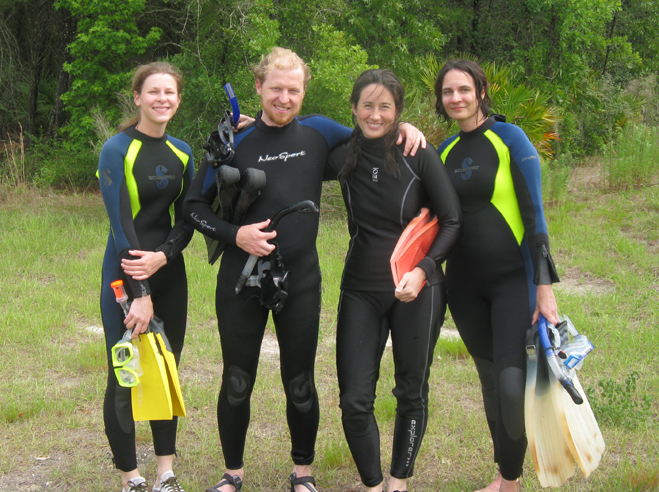 She is currently studying some of the common frog species on the Florida Gulf Coast barrier islands. 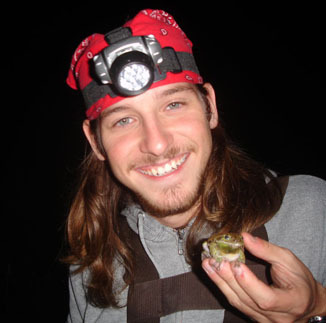 Moses' research focuses on rates of gene flow in frog populations along and spanning a major phylogeographic barrier, the Apalachicola River. He is also interested in patterns of postzygotic isolation in frogs. Alexa's research focuses on the conservation biology of the Pine Barrens treefrog (Hyla andersonii), including population genetic, morphometric, and behavioral data. Sandy spends her days in the lab, overseeing its smooth operation, optimizing protocols, generating genomic data, searching for errant tissue samples, and worrying about her teenagers. After hours, she worries about her teenagers and wonders where to go for her next travel getaway. 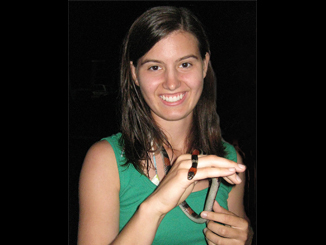 Hannah is developing dozens of nuclear loci for frog phylogenetics and phylogeography. 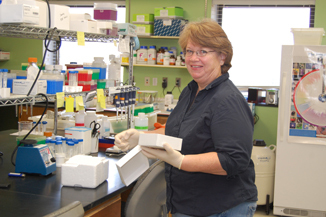 She is currently conducting a large multi-gene phylogenetic study of chorus frogs. 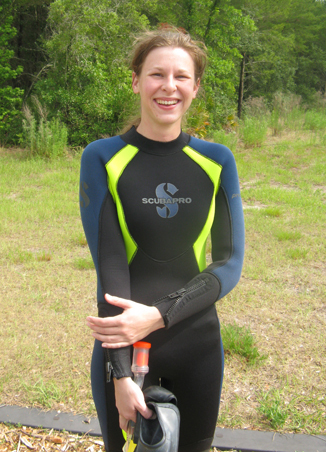 Here she is shown in her gear after a day of snorkeling for turtles in Florida's Rainbow Run. Miguel is studying a hybrid zone among four chorus frog species at the boundaries of Illinois, Kentucky, Arkansas, Missouri, and Tennessee. 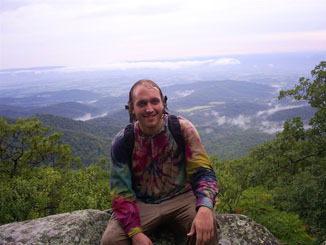 He is using mitochondrial markers to gain insight into the degree of sympatry or parapatry of these lineages. 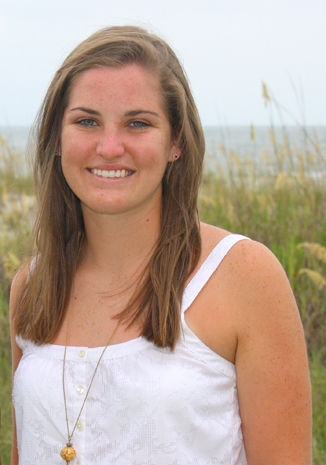 Hannah is new to the lab and will be volunteering for the fall semester with lab projects. 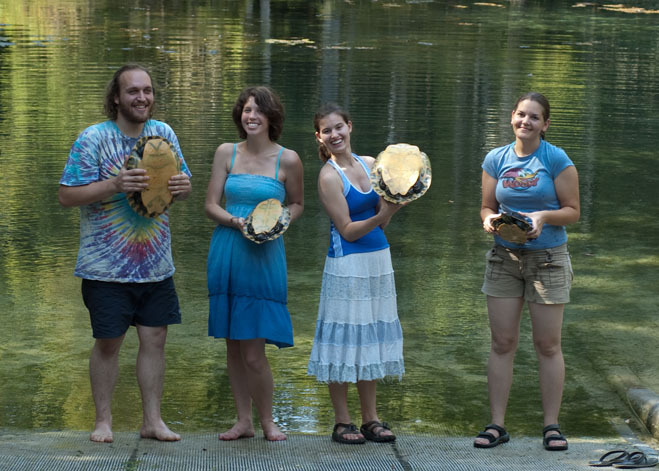 She will also be helping to maintain the lab's chorus frog colony.